Ideally you should select a surveyor on the basis of experience with the material the boat is built of and the general type. Whilst experience with the specific model of boat would be useful it is not necessary. 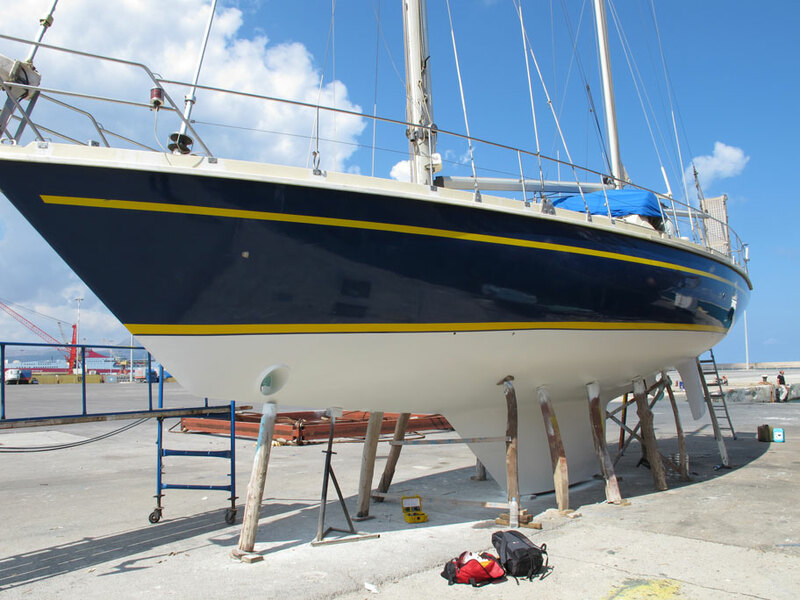 BMSE surveyors perform complete surveys that will find discoverable defects on all models of boats. The location of the surveyor is important as travel will add costs but it should not be an overriding factor because the nearest surveyor may or may not be the ideal choice. When selecting a surveyor, ask for a sample report. It is important not to simply select on the basis of price but by reading a sample report a good idea of the quality and extent of the service provided can be obtained. Qualifications of surveyors are important along with CPD (Continuous Professional Development). BMSE surveyors have all passed the IBTC surveying course and through the BMSE private forum and BMSE meetings, the surveyors gain further experience and abilities throughout their careers. All BMSE surveyors are required to maintain Professional Indemnity Insurance therefore it is not necessary to ask the surveyor if he/she maintains Professional Indemnity Insurance. This type of insurance will cover the client’s losses if the surveyor is negligent. It is important for the surveyor to have enough information to enable him to offer the lowest possible quote. Any unknowns will mean the surveyor must accommodate these unknowns by quoting a higher price. Please note that should the survey circumstances change from that quoted for, this is likely to incur additional costs. This is why it is important to be specific at time of obtaining a quotation. Often surveyors receive emails from hotmail addresses or similar with no information about the client apart from a name. Please include your address details and telephone number if sending an email request for quotation, in order to be taken seriously. Payment terms differ between surveyors. The surveyor usually will require payment before release of report. If travel is required the surveyor may require part or full payment before travelling. Unfortunately the few bad payers spoil it, making the surveyor require strict payment terms from everybody. The surveyor will require written acceptance of the quotation and may also require the client to sign a survey contract accepting the surveyor’s standard terms and conditions. It is likely the surveyor’s professional indemnity insurers require this contract to be signed. This is a common practice. Once the quotation is accepted the surveyor will take it from there. It is important that the boat is available for survey on the day agreed. The boat must also be properly supported if ashore. If the boat is not available that day or if there are delays requiring an additional visit, this may incur additional costs. The boat should be available for survey with clean bilges and tidy without excessive amounts of effects on board. The surveyor will need to access as much of the structure as he can. If lots of time is necessary to move things around then this will reduce the time available for actual surveying. It would be ideal if the hull was not newly antifouled but this is not absolutely necessary. If recently hauled the hull should be pressure washed. 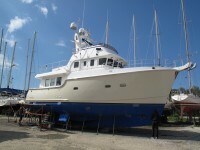 If the boat is to be lifted for survey and the buyer is arranging for this, it should be booked in advance. The buyer should discuss with the surveyor the scheduling because time is required for in or out of water survey before the lift as applicable. Delays for the lifting and pressure washing will minimise the available time for the actual survey. To get the best out of the suvey it is not ideal if you accompany the surveyor on board. The surveyor needs to concentrate on the task at hand. Some surveyors permit buyers to attend but cannot give a running commentary. The more people on board, the less concentration the surveyor will have. The surveyor may require the owner to be present for the starting of machinery or equipment or he may not. Indeed it would be useful if the surveyor has access to the owner during the survey or after to ask questions about maintenance. Sea Trials are not an opportunity to invite all your friends along as the surveyor will need access to all the boat during the sea trial. The time for the delivery of the report will differ from surveyor to surveyor and will also depend on how much other work is ongoing at the time. The surveyor can give an indication at time of quoting. Whilst it may be thought that the survey would be the majority of the job’s time, to produce a quality report takes many hours. Surveying is quite exhausting and it is unlikely your surveyor can complete the report on the same day as the survey. Why should I choose a BMSE surveyor? – Attended surveyor training at IBTC. – Have access to the entire BMSE membership through the private forum and email to seek advice and consider defects together and thereby provide the best technical opinion to the client.